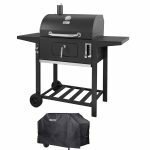 Wood pellet grills and smokers are incredibly popular with outdoor cooks who love the flavor of smoked meat, but also prefer to bask in the “Set it and forget it” mentality. Tending a traditional wood or charcoal smoker tends to require a lot of reloading and feeding. 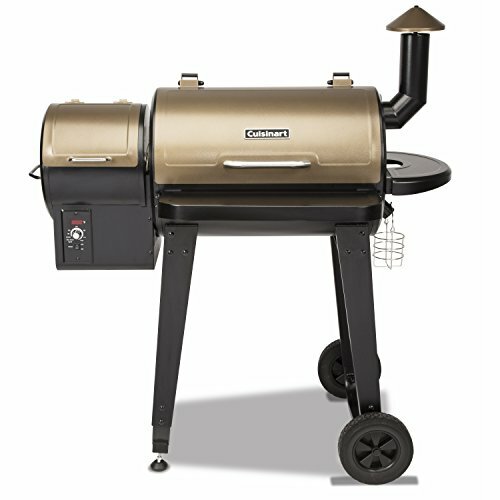 At the same time, propane-fueled smokers also have a reputation for not always bringing the same depth of flavor. 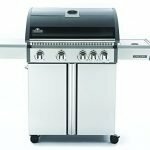 Wood pellet grills like the Cuisinart CPG-4000 are designed to make it easy to grill and smoke meat, through an automated system. 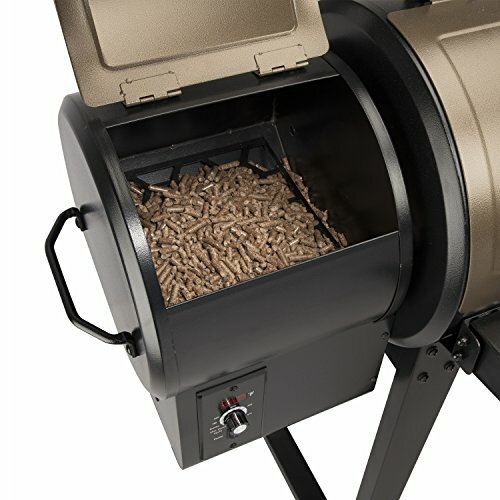 To use it, you simply add separately sold wood pellets to the 15-pound hopper. Then you plug it into a basic 110 household socket. The Cuisinart CPG-4000 has a built-in electric ignition system. You simply turn it on and set the digital display to the temperature you want. At that point, an automated internal auger will deliver a carefully measured portion of wood pellets to a special firepot beneath the primary cooking area. A small internal fan feeds oxygen to the fire and ensures that the heat and smoke rises up to cook the food above. 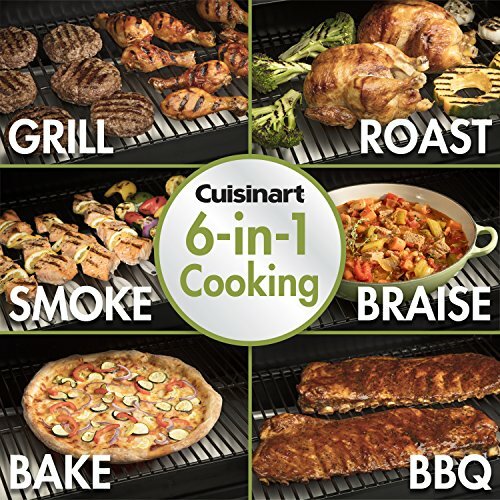 Cuisinart isn’t necessarily the first name you think of when it comes to grills and smokers. They are a relative newcomer to this market segment, but they carry their reputation for quality cooking appliances with them in the CPG-4000. It also includes a folding front shelf as well as a holder for a disposable drippings cup. It would be nice if they provided a stainless steel dripping cup with it like some of their competitors in this price range. The idea here is that you can simply place a plastic cup or old soup can in the holder. When you are done, you simply throw it away and don’t have to go through the hassle of washing smoky grease out of a reusable drip cup. Cuisinart generally prides themselves on using quality materials with all their cooking appliances. This carries through with the CPG-4000. 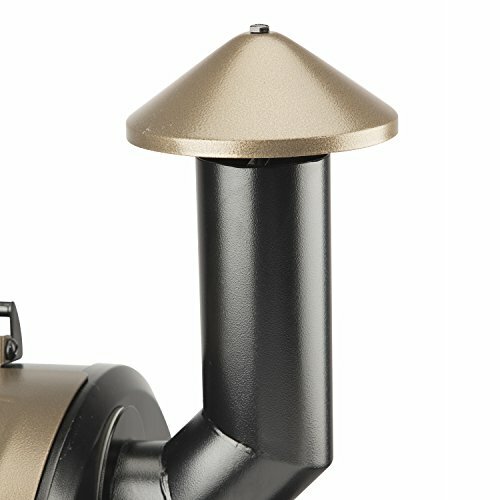 The wheels the cart base roll smooth and easy, which isn’t always the case with other wood pellet smokers in this category. Assembly is a little bit more work than you find from some competitor wood pellet smokers. This is not the sort of thing that you want to rush through. Take your time and make sure you have everything laid out and ready. With some basic mechanical sympathy, you should be able to put this together on your own in about two to three hours. Still, this is the sort of thing where you might want to dragoon one of your buddies into helping, with the promise of a free meal afterward! Like most wood pellet grills, the Cuisinart CPG-4000 is very versatile. It can grill, smoke nearly competition level barbecue, and even bake. It even makes a really nice smoky flavored pizza. If you include a small pan full of water, it can even be used to braise meat. Just like all other wood pellet grills, the CPG-4000 doesn’t use direct heat. This means it can cook a steak, but it won’t create the kind of sear marks that you might want. It also has enough internal space in the primary cooking chamber to handle two chickens, a pair of pork shoulders, or even a flat brisket. With some careful use of the upper warming rack, you could probably even squeeze in three racks of pork spare ribs. A full turkey might be going too far, depending on the size of the bird. The wood pellets sold for this grill provide a basic hardwood smoke that is akin to smoking with oak. If you are a purist and you want smoke with a little bit more unique character, there are wood pellets available that incorporate hickory, mesquite, and other special woods. Cuisinart also offers a line of special grill tools that are intended to work with the CPG-4000. They are, of course, sold separately, but some online retailers will offer them in a packaged deal discount. 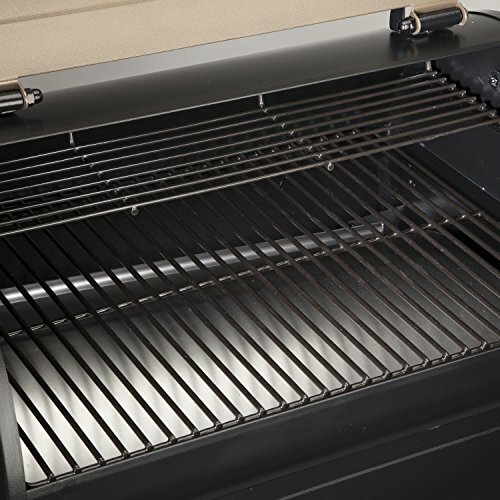 The Cuisinart CPG-4000 has a total of 450 square inches of grilling space in the primary chamber. The upper rack is just large enough to be used as a secondary cooking area. 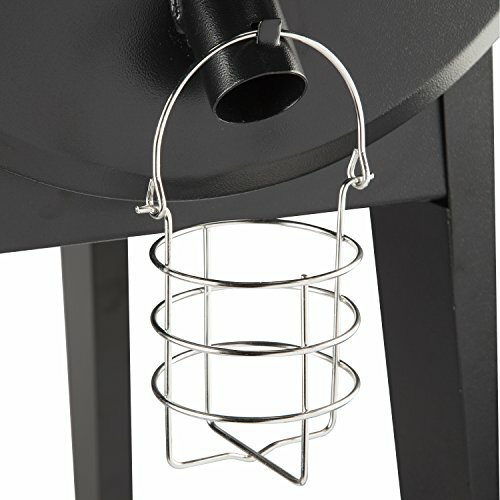 Wood pellet grills, in general, are rife with special features that you won’t find with traditional gas or charcoal grills. The Cuisinart CPG-4000 has a digital display that isn’t necessarily common with competitor wood pellet grills in the same price range. The Cuisinart CPG-4000 is relatively easy to clean. The basket for holding a dripping’s cup allows you to just throw it away. While you could use a plastic cup. It can get pretty hot at times. If you are planning a long smoking session for something like a brisket or a pork shoulder, it would be better to use an old soup can. The grates can be gently scraped down with a stiff bristled nylon grill brush, or if something is stubbornly trapped the grates can be removed and washed. The chimney can start to gather soot over time. Every ten or so smoking sessions, you might want to wrap a sheet or two of paper towel around a chopstick and give it a little bit of a scour. The wood pellets can start to degrade when exposed to moisture. If you know it’s going to rain, or there’s high humidity in the forecast, you should scoop out any leftover wood pellets. The Cuisinart CPG-4000 has a 1-year warranty on all parts from the date of purchase. While this is sort of standard for all of Cuisinart’s cooking appliances, it’s actually less than most competitor’s wood pellet grills that come with three or even five-year limited warranties. Cuisinart throws their hat into the increasingly popular wood pellet grill ring with their CPG-4000. It doesn’t really have anything that stands apart from its competitors, and it doesn’t necessarily have any major faults. 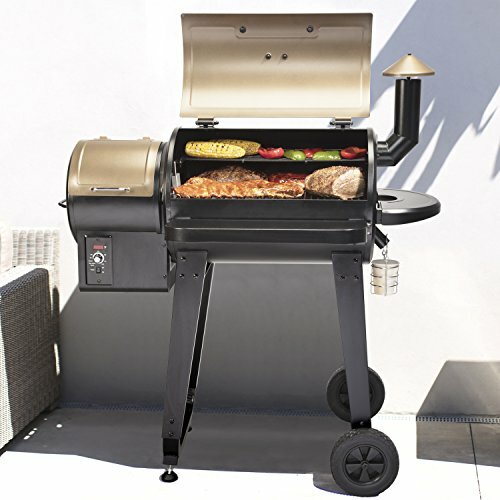 If you are just going to buy this grill from a physical store, it might be hard to find a deal that outstrips the competitors. However, there are online retailers who work with Cuisinart’s full product line that may offer it at a discount, or as part of a sales promotion. If you keep an eye out, you may be able to find it for a better deal than you’d find in a brick and mortar store.